What it is Subscription E-Commerce? Familiar with the phenomenon of business by way of subscription? The age old Indian practice of having groceries, dairy products and newspapers/ magazines delivered at your doorstep on a recurring (bi-weekly/ monthly/ daily etc.) basis, and paying ‘x’ amount for the service and the convenience it offers, has hit the Indian market in a new avatar – as Subscription e-Commerce. § Bake Box caters to the residents of Delhi and Gurgaon. Customers may subscribe for a ‘bake box’ to be delivered at their doorstep monthly. The box contains goodies by the ‘Baker of the Month’ chosen by the team at Bakebox.in. 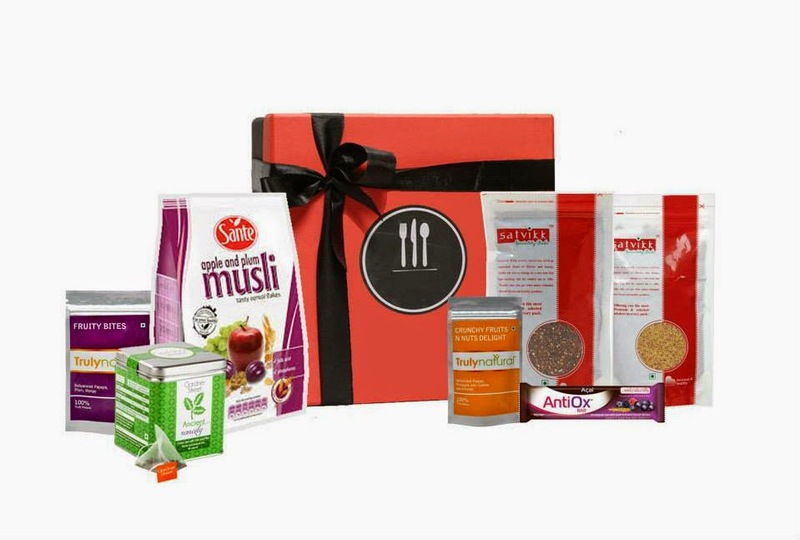 § The Gourmet Box operates in Mumbai, and provides a monthly subscription box service. The epicurean delight contains 4-5 gourmet food products, recipes and product information. § Flinto offers differently themed boxes containing toys and projects for children, delivered monthly. Similar endeavours include ‘Canary crate’ and ‘Small Brown Box’. § Avishkarbox is another such e-commerce portal which offers products for children, albeit with a twist. The STEAM box [Science, Technology, English, Art and Mathematics] is available for children in Classes I and II. They also offer Inventor’s boxes for computer programming for children from 5 to 12 years of age, and Robotronics boxes for ages 8 upwards. § Fab Bag packages premium cosmetic and beauty brands in a box (3 products in toto), customised for each subscriber and delivered at a desired address. Likewise,Enchantess offers customised ‘enchantess bag’ which comprises of 4 beauty samples from Indian and international brands. § Blissbasket.com, offers a subscription for ‘romantic essentials’ and mood-makers. The package consists of intimate products, based on the customer’s replies to some general queries put forth by the company. § Dhingana and Google Music offer music streaming to consumers at a monthly subscription fee. Essentially, what subscription e-commerce implies is the same as subscription commerce. Products which are required cyclically by consumers can be purchased by subscribing to those products with the seller. A subscription fee is paid at the end or beginning of each cycle for this service, in addition to the cost of the product – in an all-inclusive manner. The difference in the two becomes apparent when the scale of available products is discovered, ranging from consumables such as grocery, biscuits and other edibles to cosmetics and luxury items, from niche bakery products to creative and engaging toys for children. Fundamentally, subscription ecommerce functions on two models i.e. the Replenishment model (based on consumption of utility products) and the Discovery model (based on consumption of a combination of novel products). § For providing a box which will delight a subscriber month after month, the service provider has to ensure that each month’s parcel is carefully curated and contains exciting and engaging products. Sustaining an output of creative and/ or unique products on a monthly basis is not an easy job. However, as stated by Arunprasad Durairaj, co-founder at Flintobox, it is a “good challenge”. § Since many subscription e-commerce companies in India offer Cash on Delivery (for fear of losing out on customers who either cannot or may not want to make payments online), they also run the risk of suffering all the disadvantages that a seller is vulnerable to with COD. However, although about 40% of Flinto’s deliveries are on COD basis, Arunprasad says that there are “rarely ever any returns”. “There is almost no difference between COD and pre-paid orders as far as Flinto is concerned. Cancellations hardly ever happen,” he states. This is echoed by Himanshi at The Gourmet Box, who said that “we always give a call to subscribers/ customers to confirm the order before delivering it, which reduces to chances of a return to zilch.” FabBag charges an additional Rs. 100/- on COD orders so as to offer convenience to the consumer, and disincentivise returns at the same time. “70-75% of our orders are pre-paid. Returns are single-digit numbers and these losses are absorbed easily by us,” says Kaushik. § If a Subscription e-commerce venture is aiming at scaling up its operations, it can prove to be a very time consuming process unless the company is dealing in bulk and/or everyday products (such as groceries, movies, household utilities etc. ), or if it permits the subscriber to choose his/her own monthly products (not exceeding a specific number each month). It allows for a long term customer-seller relationship to develop over time, resulting in deepening consumer loyalty if you’re prompt and efficient and can keep it interesting month after month. Being in its nascent stages, the scope of subscription e-commerce in India is only growing and it may well be the next big thing here!